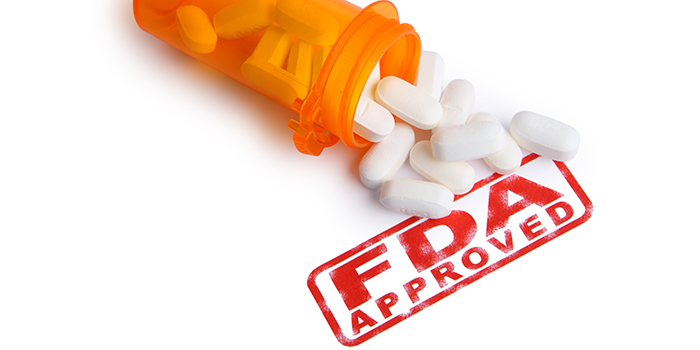 The FDA recently approved a new 2 mg strength of Evzio (naloxone hydrochloride), the auto-injector used for the emergency treatment of known or suspected opioid overdose. Claims professionals may see this new dosage appear within future claims. The original auto-injector contained a dose of 0.4 mg/mL, making this new strength much more potent. Evzio and other consumer naloxone products still require contacting emergency services to monitor and treat the overdose. The topic of higher minimum dosages for naloxone products was recently discussed by an FDA advisory committee. Street drugs laced with highly potent opioids such as fentanyl require more naloxone to counteract potential overdose. The FDA may consider raising minimum dosages for naloxone products in the future. For more information on the new Evzio strength, read the FDA's approval letter. Compounds - custom medications created when pharmacists combine, mix or alter ingredients - are a growing national challenge. Topical compounds are a significant problem in workers' compensation, often prescribed to treat pain associated with workplace injury. While sometimes medically necessary, compounds are less regulated than traditional drugs, resulting in safety and cost concerns. The Workers' Compensation Research Institute (WCRI) recently hosted a webinar discussing its two most recent opioid studies, Longer Term Use of Opioids 3rd Edition, which examined the prevalence of longer-term opioid use in 25 states, and Interstate Variations in Use of Opioids, 3rd Edition, which examined variations and trends in opioid prescribing and usage across 25 states. The data was collected from 2012-2014, and according to the studies, Louisiana, New York and Pennsylvania saw higher doses of opioids prescribed at a more frequent level, resulting in more long-term opioid users. Louisiana in particular had very high levels of opioid prescriptions, with one in six injured workers qualifying as a long-term user of opioids. In New York and Pennsylvania, opioid prescription strengths were higher than the national average, with one in ten injured workers classified as long-term opioid users. 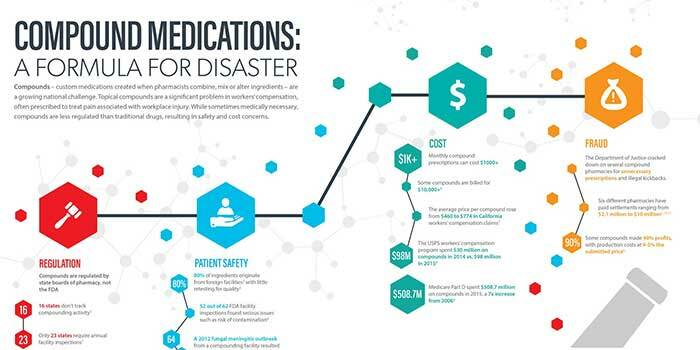 WCRI argued that to reduce opioid prescribing, states should employ closed drug formularies, PDMPs, mandatory education programs for prescribers, and updated treatment guidelines for chronic pain, particularly patient screening. In support of this argument, WCRI pointed out that after employing a closed drug formulary, Texas saw the average amounts of opioids per claim decrease by 20%, while increased PDMP usage saw a correlating 31% drop in the average amount of opioids per prescription in Michigan, along with a 29% drop in Oklahoma. For more information, download Interstate Variations in Use of Opioids, 3rd Edition and Longer-Term Use of Opioids, 3rd Edition. 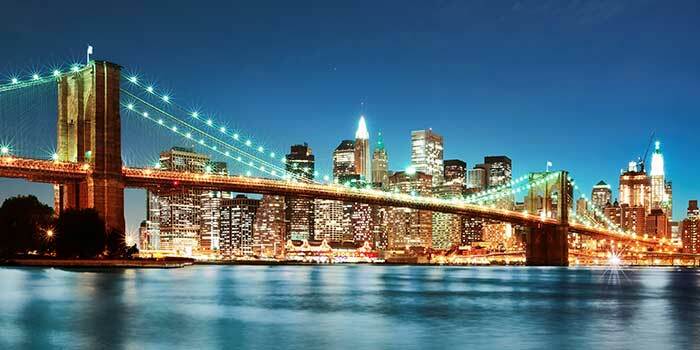 In October the New York Workers' Compensation Board (WCB) released a statement announcing, among other initiatives, that they hope to establish a Workers' Compensation Prescription Drug Formulary. The formulary would also require that drugs be used for an approved indication and/or via an approved route of administration, with payments only made if prescriptions fulfill this requirement. WCB might also consider limiting physician dispensing to commercially available oral medications, blocking payments to physicians for dispensing compounded topical preparations. Reimbursements for physician dispensing would also be made comparable to those made at a commercial pharmacy. 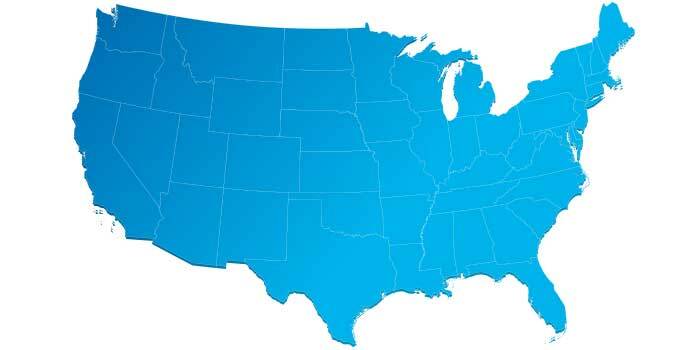 New York joins several other states currently considering formularies, including Louisiana, Michigan, Montana, Nebraska, North Carolina, South Carolina, New Mexico, Pennsylvania and Virginia. 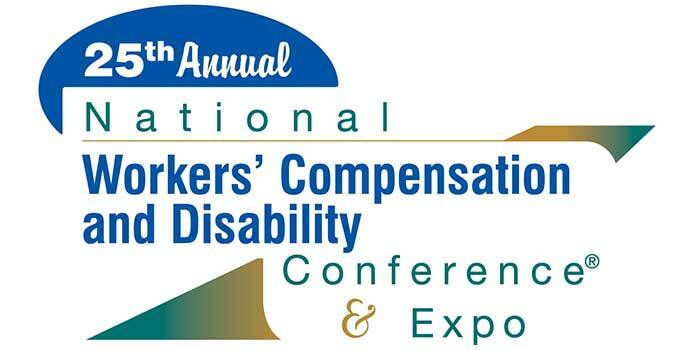 As a proud gold sponsor of the 2016 National Workers' Compensation and Disability Conference (NWCDC), Healthesystems is engaged at this year's conference in a number of ways. Booth 1419 will offer attendees the chance to speak with Healthesystems experts about our solutions for pharmacy and ancillary benefits management, and we will also debut the new Winter 2016 issue of RxInformer journal, our industry-leading publication and trusted source for information on trending and influential topics in workers' compensation. Healthesystems will also feature speakers in two educational sessions during the conference. On Wednesday, November 30th, our Chief Medical Officer, Dr. Robert Goldberg, will use his 25 years of industry experience to contribute towards Risk Scenarios Live! Navigating Critical Intersections in Patient Management, a multimedia panel session produced by Risk & Insurance. The seminar uses hypothetical, realistic video vignettes to demonstrate how the wrong decisions at critical junctures can delay recovery and potentially worsen an injured worker's condition, highlighting intervention opportunities from multiple stakeholder viewpoints. On Thursday, December 1st, Dr. Silvia Sacalis, Healthesystems VP of Clinical Services, will co-present Healthcare Trends Breaking Through the Workers' Comp Bubble, focusing on how trends within the larger healthcare sphere impact workers' compensation care. This presentation covers topics such as specialty and novel drug development, the increased monitoring of treatment adherence, and more.